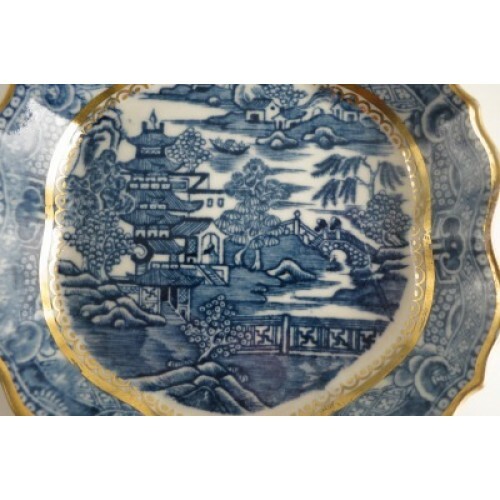 A beautiful and decorative Caughley hexagonal shaped Teapot Stand, decorated in underglaze blue with the intricate oriental scene known as the 'Pagoda' pattern. 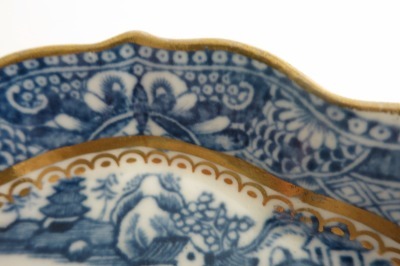 This charming Eighteenth century Caughley Teapot Stand is beautifully moulded with fluted sides. 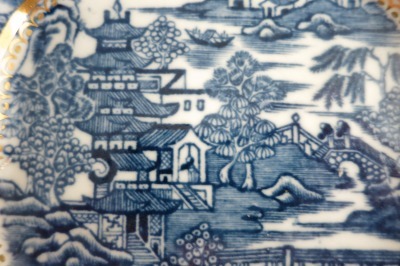 The beautiful blue and white 'Pagoda' pattern features the charming pagoda within a landscape of trees, rocks, water, boats and a bridge with two people crossing. 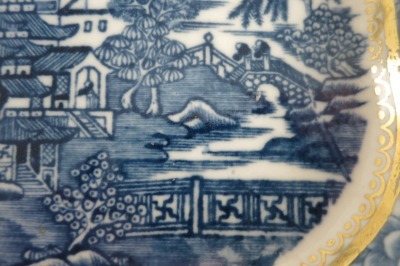 There is an elaborate oriental style border and is embellished with gilt decoration. 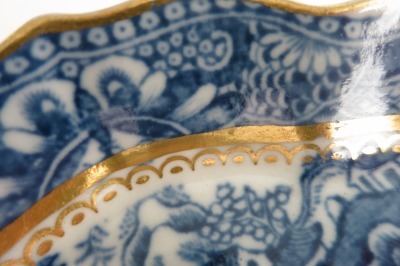 The rich gilt decoration comprises two thick gilded lines, one on the rim, the other around the base. 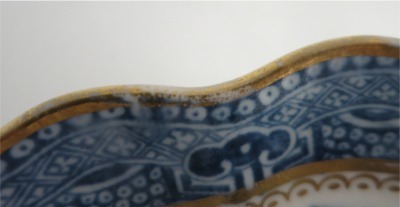 The line around the base also has a band of half circles and dots. 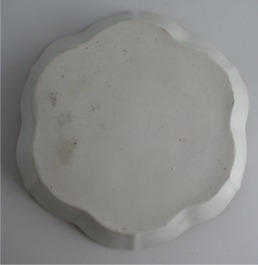 4" (100mm) approx. 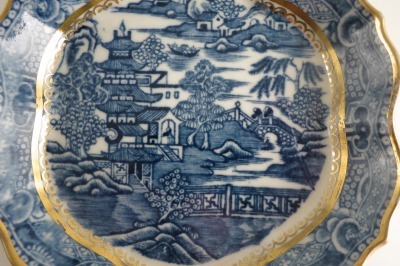 diameter of the inside flat base in which the teapot would sit. 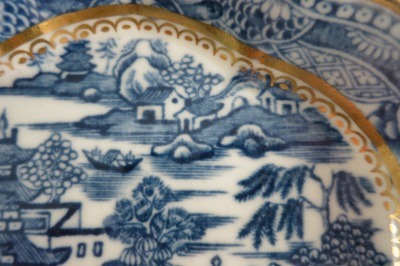 There is no manufacturer's mark, but it is a Caughley Teapot Stand, c1785. 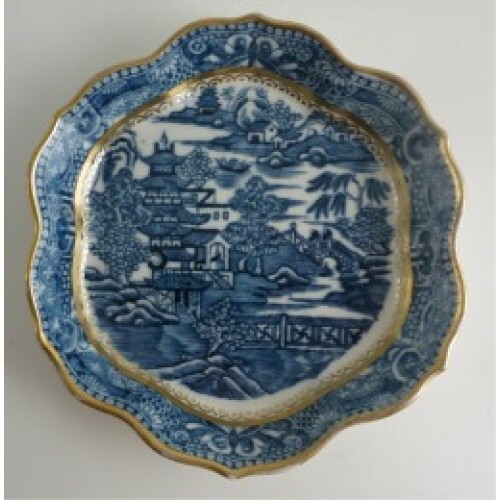 This beautiful Teapot Stand is in excellent condition with no chips, cracks, repairs or restoration. 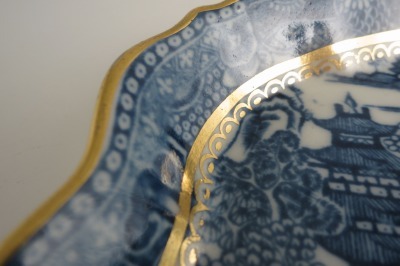 The only minor imperfection is some wear to the gilding, mainly on the rim, as pictures below. 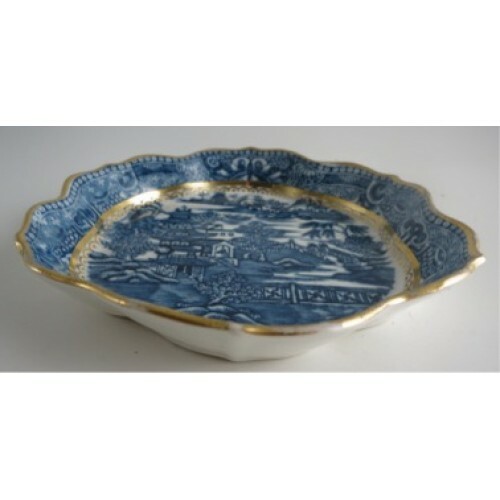 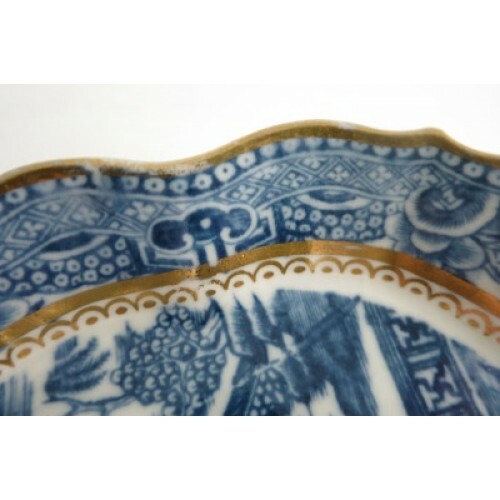 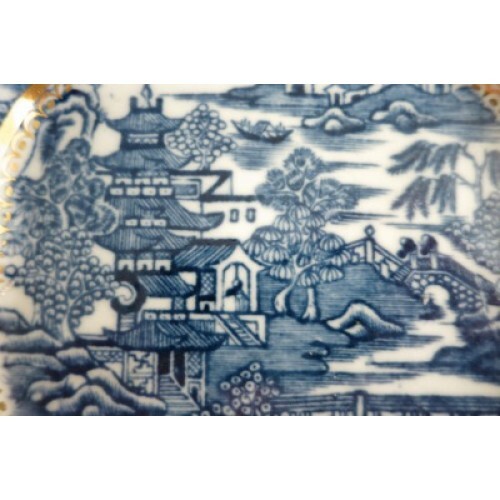 Description A beautiful and decorative Caughley hexagonal shaped Teapot Stand, decorated in underglaze blue with the intricate oriental scene known as the 'Pagoda' pattern. Condition (See main description for full details and pictures) This beautiful Teapot Stand is in excellent condition with no chips, cracks, repairs or restoration. 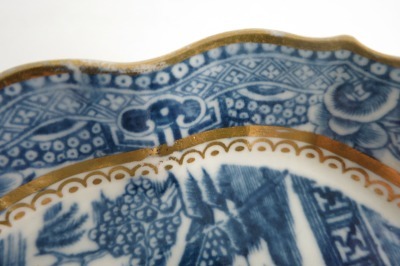 The only minor imperfection is some wear to the gilding, mainly on the rim.